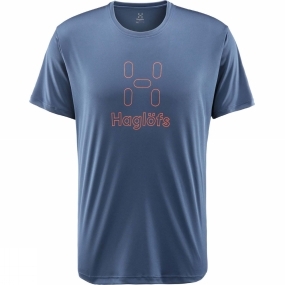 The Men's Glee Tee from Haglofs is perfect for those looking for a t-shirt that can keep up with their active lifestyle. With its 4-way stretch, whether you are out on a run or going for a climb, you will be able to keep your freedom of movement. With its moisture wicking capabilities and anti-odour treatment, you will stay comfortable throughout your workout and even after as well.